Before the hearings, Zuckerberg’s colleagues in Menlo Park had been nervous. The company had been battered, insulted, and mocked for weeks. The stock price had collapsed. And now Zuckerberg, who isn’t known for his charisma or quick-witted stage presence, would be grilled by professional grillers. The whole thing felt to Facebook roughly like watching the father of the bride at a tense wedding, refilled glass of chardonnay in hand, slide up to the microphone to give a toast. It could go OK. It should go OK. But it might also go horribly wrong. 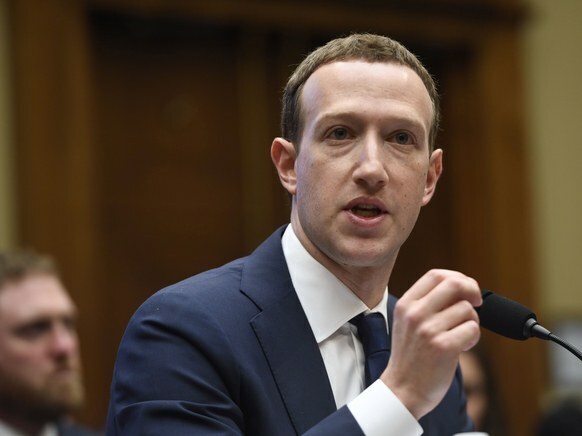 After Zuckerberg finished his session with Cornyn, John Thune (R-South Dakota) interjected that it was time to take a break. Thune may have had the most power over Facebook in the room—he oversees the Senate Commerce Committee, which in turn helps oversee the Federal Trade Commission—and he may also have the best jawbone. But Zuckerberg responded that, actually, no, he was fine to keep going. “You can do a few more,” Zuckerberg said. He wasn’t worn down. In Menlo Park, there were cheers from some employees. According to one who was watching a TV nearby, “It was like magic.” At another spot in Facebook’s offices where senior executives had gathered, people started laughing and smiling. The toast was going just fine. Nothing was going to go horribly wrong. Meanwhile, employees had their eyes on the stock ticker, which, for the first time in a while, had started to turn upward. Zuckerberg had a choice: He could weasel his way out and say the answer is hard. He could throw out something patriotic and muddled. But he decided to do something simple. He just said, “Yes.” Then he paused and moved on to talking about something else. It’s unlikely, though, that Zuckerberg cared much about the cheap shots and the jokes. He surely noticed that the value of the company rose by about $17 billion during the hearings, making him more than $2.5 billion richer. And in some ways, the most important part of the hearings was to calm his restive employees. In recent weeks, working at Facebook has come to seem a bit like working at Goldman Sachs in 2008. The most important challenge for Facebook is employee retention: Despite the billions the company makes and the kombucha shots it serves on the corporate roof, competition for engineers in Silicon Valley is severe. In recent weeks, Facebook has seemed weak and easy to raid. One employee even boasted publicly of quitting. Zuckerberg’s marathon testimony also didn’t close out questions about some of his company’s biggest threats. 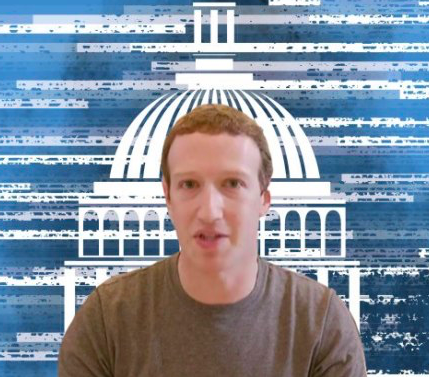 Zuckerberg did not give thorough answers (and the congressmembers did not ask thorough questions) about the extent of Russian operations on the platform. It is still entirely possible that we will, in due course, see the threads of the Cambridge Analytica and Russia stories converge. If that happens, the company will have to deal with something much darker than even the mess of the past few weeks. It will mean, in short, that the data—and even the private messages—of trusting Facebook users ended up in the hands of a foreign adversary trying to manipulate a presidential election. And there is still the looming issue of the 2011 FTC consent decree, and whether Facebook violated its terms by not acting reasonably to protect people’s privacy after it learned about Cambridge Analytica’s data gathering. An investigation is ongoing, which Zuckerberg did little to put to rest. It could cost the company billions. Still, back at home, the troops were happy. On Thursday, the day after the hearings ended, Sheryl Sandberg was supposed to address the staff in a company-wide Q&A. Instead, Zuckerberg returned to Menlo Park and answered questions in person. “It was a Mark lovefest,” one employee said.